In 'The Toil of Foreign SC2's King Beyond the Wall' I tell the story of NaNiwa's StarCraft2 career, from the beta up until his runner-up finish at IEM VIII New York on Sunday. "In his second finals appearance of 2013 NaNiwa fell, not without incident, to the Korean Zerg prodigy. As Jeff Goldblum's character in Jurassic Park had told us: 'Life finds a way'. Once more his dream of a significant international title remained just a burning desire, boiling over underneath an otherwise frosty cool exterior. The foreign scene's would-be king could still not be truly crowned." "The significant outcome of the failed German trip was that NaNiwa found himself removed from his team. With a reputation for bad manners, a poor initial offline performance and having been removed from a league for being unable to follow the rules, NaNiwa found himself facing the very real possibility that his StarCraft2 professional gaming career was little more than a brief flare-up." "In Dallas NaNiwa was imperious, running through opponents as if they were made of nothing but the warm Texas wind. From the open bracket to pool play he did not suffer a map loss, tossing aside all who came before him. In the championship bracket he rolled over KiWiKaKi and SeleCT to reach the final. His eventual was the aforementioned KiWiKaKi and, despite suffering two map losses, the Canadian could not stop the force of NaNiwa. The map record for the Swedish Protoss at the end of the tournament was a staggering 26:2, with the only losses being those incurred in the final itself." "Such an upset win would have been enough to have caused a stir for any foreign player, but now NaNiwa had to face his own worst match-up in the final, where NesTea awaited. Facing another multiple time GSL champion NaNiwa again repeated the feat, winning 2:1 to take the title. Sadly, for NaNiwa, this specialist event was strong on paper, thanks to the pedigree of the champions in the small field, but it was a mere sideshow in the fact of the MLG championship set to begin the next day. Today was not the right day to beat GSL champions"
"Days later NaNiwa was back in Korea for his Ro16 group. Only three foreigners had ever reached the Ro8 of a GSL, and only HuK had accomplished the feat in the last 12 months. Beating out Genius, who the Swede was proving quite the foil for, he then took down Terran Virus to move on from the group and into the bracket stage. Not only had NaNiwa not lost a series so far in this GSL, but he had managed to steer clear of his kryptonite: Korean Zergs. When the Ro8 was set with only Protoss and Terran one could see how the Swede felt confident he could go all the way." "Taking out TLO and SortOf in the playoffs NaNiwa reached the semi-finals, where his opponent was Jaedong. Much like Flash, Jaedong was best known as one of the greatest winners in the history of BW, boasting every kind of title imaginable in SC2's predecessor. Even more intimidating was that, as a member of Alliance, NaNiwa had been training in the EG-TL house, with Alliance being covertly linked to Evil Geniuses' organisation. There he had faced Jaedong and lost to him." "In many ways this could be NaNiwa's GSL, his chance to win a tournament stacked with only Koreans and with elite level competition barring him from an individual league crown. The chance that his elimination from Code A and inability to enter WCS Korea had seemingly taken from him now sat before him, if he could but seize it." The entire piece can be read at Team Acer. Just finished reading. Very thorough and well-written. Such an amazing performance this weekend. This is absolutely brilliant, the best esports content I've seen in a long time. The way Thoorin crafts the narrative of Naniwa's career is simple magnificent with factual results and the inclusion of quotes taken from the various interviews conducted at the time. This is the type of content SC2 needs right now in order to grow the scene and gain more eye-balls. It's all about storytelling. Simply great stuff. A great piece of work, and a good look into the career of one of esports most enigmatic characters. Really good job Thorin. Liking it a lot. One of the best articles I've read. Other journalists should take notes. Edit: is there a way to submit this article for the featured article "colum" on the main page? Really good article, wish we could see more like this. That was a great read, thanks and good job. Naniwa desire to become the best is truly inspiring. A massive amount of info is crammed into that great article. Good writeup. Excellent read. I especially like this part about the final map between him and Hyun at IEM NY. 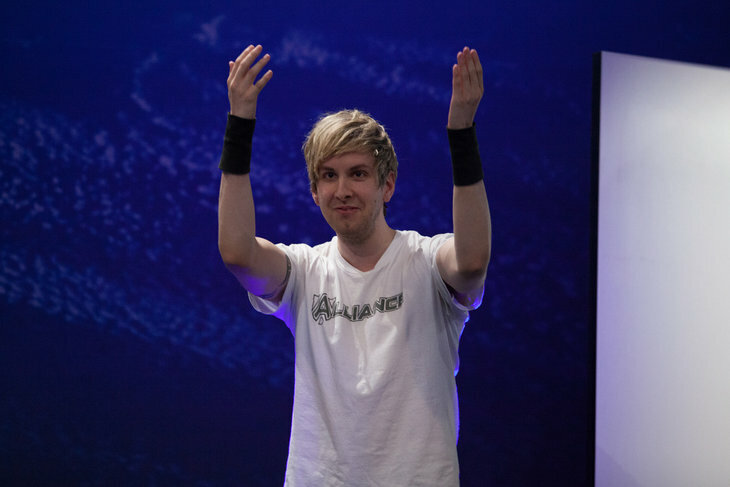 With all the pressure in the world on his shoulders, the only one who could prevent an all-Korean final, the Swedish Protoss showed balls that could set off metal detectors at airports, proxying two gateways into HyuN's base, in a spot where the Korean neglected to scout, going for a greedy three hatch opening. And this is some insanely interesting info I was not really aware even as a naniwa fan. It's not enough to simply, in passing, mention that NaNiwa has had some ludicrously stacked bracket draws. This is a man who has been eliminated in the bracket stage of offline tournaments 12 times by the eventual champion and six times by the eventual runner-up, totalling 16 eliminations at the hand of an eventual finalist. For all the good fortune some may highlight of his GSL group stage runs avoiding Zergs, NaNiwa has faced masters of their race in each of his Ro8 draws. NaNiwa has not had it easy, but NaNiwa is not looking for easy. Thanks for the kind words all. Thorin continues to set the bar of interviews with his grilled series and also with this the bar for interviews. Acer keeps cranking out top notch things for esports.